SAW046475 SCOTLAND (1952). John Fleming and Co. Ltd. 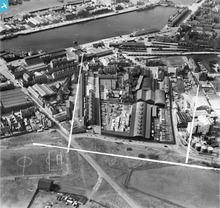 Timber Yard, St Clement Street and Victoria Dock, Aberdeen. An oblique aerial photograph taken facing south-west. This image has been produced from a crop marked negative. Title [SAW046475] John Fleming and Co. Ltd. 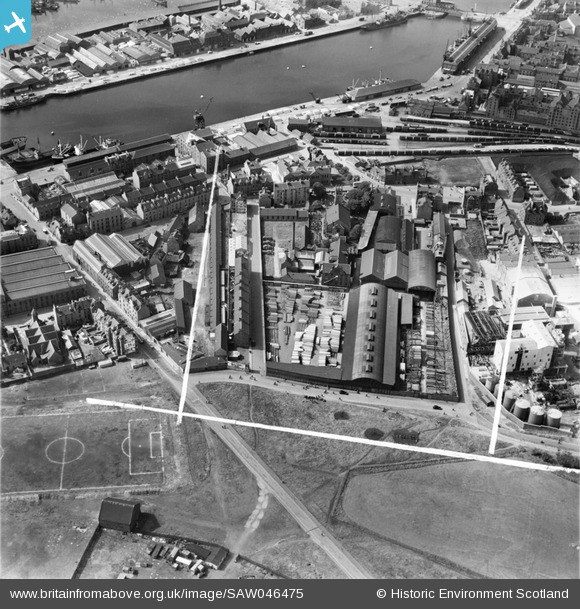 Timber Yard, St Clement Street and Victoria Dock, Aberdeen. An oblique aerial photograph taken facing south-west. This image has been produced from a crop marked negative.